If you are missing teeth, implant supported restorations can permanently and beautifully restore your smile. Whether you’re missing one tooth, several teeth, or an entire arch of teeth, Skutak Dental can transform your smile and restore your confidence with this cosmetic options. Dr. Lisa M. Skutak is an expert when it comes to placing dental implants and developing implant supported restorations. 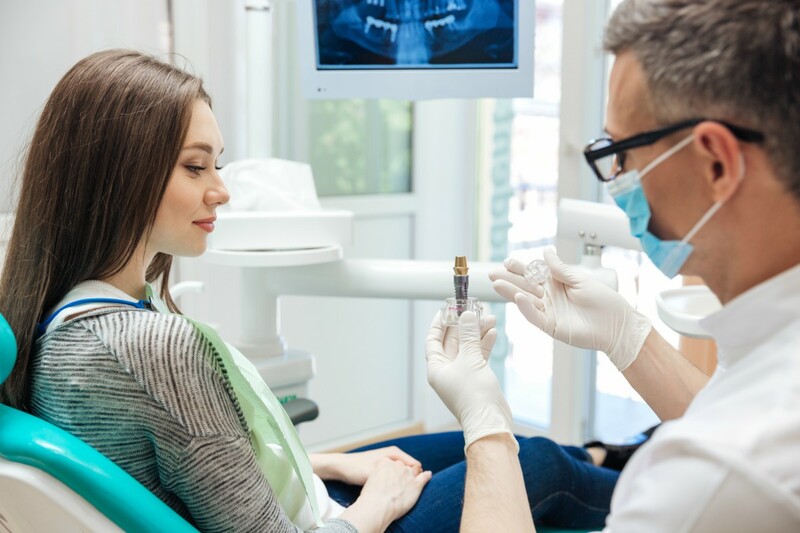 With our services, you can restore your smile and avoid the complications caused by missing teeth, such as shifting or bite problems. A dental implants is a small titanium post that is inserted in the gum and jaw tissue, replacing the original root of a missing tooth. Over a period of 3-6 months, this implant will heal. Titanium has the unique ability to bond permanently with jaw and gum tissue. 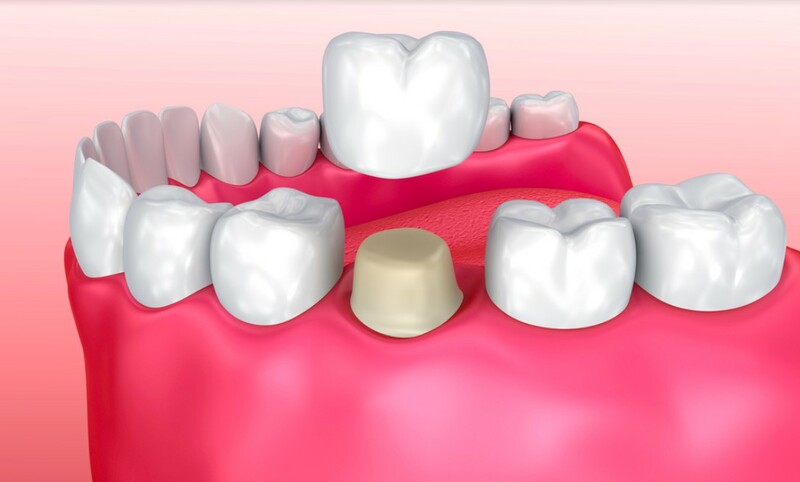 Once the implant heals, it will be used as the “foundation” for a wide variety of different restorations. The most common restoration uses a dental crown to replace a single tooth, but multiple implants can be used to support different dental prosthetics. - Dental crowns – A dental crown can be built to match the surrounding teeth, and attached to the dental implant to restore a single missing tooth. This is the most common type of dental implant, which is why the term “dental implant” is often used synonymously with an implant-supported dental crown. - Dental bridges – Traditional dental bridges use two surrounding “abutment” teeth to support several false teeth. Implant supported bridges use two dental bridges, rather than existing teeth. This may be preferable in some cases where the patient is missing quite a few teeth, or healthy abutment teeth can’t be found. - Implant supported Dentures (All On Four) – Dental implants can be used to support permanent dentures, replacing either the upper arch, lower arch, or both arches of teeth. This has a number of advantages compared to traditional dentures. Implant supported dentures don’t need to be removed, they don’t slip, and they look and feel more natural. Implant supported restorations are the best way to restore missing teeth. These restorations don’t require special care, they can last more than 30 years, and they are indistinguishable from real teeth. Don’t let tooth loss affect your self-esteem, and don’t let a missing tooth damage your oral health. With implant restorations from Skutak Dental in Schofield, you can get the help you need. Schedule an appointment with Dr. Lisa M. Skutak to discuss your restorative dentistry options. Contact us now at (715) 355-4433, or come by our office at 700 Eagle Nest Boulevard, Suite E, Rothschild, WI 54474, and schedule your consultation now!